We’ve got some great new releases for a beloved game today. 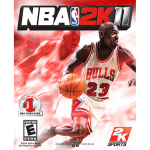 The latest file additions for NBA 2K11 PC include a 1985 Los Angeles Lakers team add-on, a pack of Draft Classes ranging from 2011 to 2017, and face packs to accompany each Draft Class. Check them all out at the links below! Any questions, please direct them to the respective authors. The draftclass are cool and legit but a lot of them we’re headless. I downloaded the cyberfaces but i can’t open the winrar file. These files are for NBA 2K11, not NBA 2K14. As before, please direct any further questions to the listed authors. They are the ones responsible for providing support for their releases. You’d have to ask the author about that.